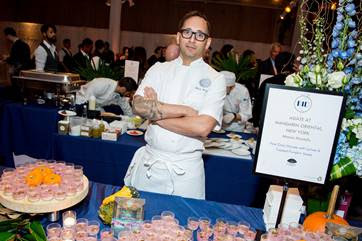 WHAT: City Harvest, New York City’s largest food rescue organization, will hold its signature fall tasting event, BID 2018, with a goal to raise enough funds to help feed over 19,000 New Yorkers in need for a year. The event brings together over 50 of New York City’s best chefs, restaurants, and mixologists, including Eric Ripert of Le Bernardin, Geoffrey Zakarian of The Lambs Club, Angie Mar of the Beatrice Inn, Emma Bengtsson of Aquavit, Michael Anthony of Gramercy Tavern, Dan Churchill of Charley St. and many more. Guests will be immersed in the event’s lively Havana Nights theme while they enjoy delicious dishes and cocktails, and bid on once-in-a-lifetime experiences from these acclaimed chefs during the live auction led by Auctioneer Billy Harris. All proceeds from the event will directly support City Harvest’s work to rescue 61 million pounds of nutritious food that would otherwise go to waste this year and deliver it free of charge to hundreds of soup kitchens and food pantries across New York City to help feed New Yorkers in need.